For many of us, subletting was the first step to becoming a New Yorker, even if that meant renting a spare closet in a six-story walk-up in Bushwick. After all, the average one-bedroom apartment in Manhattan costs $3,440 a month, and deals can often be found by filling empty bedrooms in already-rented apartments. Short-term rentals are extremely popular in the city, whether you call them Airbnbs or sublets. But after the state’s multiple dwelling law went into effect in 2011, a lot of them became illegal. For a sublease to be protected under New York City law, the arrangement must last for a minimum of 30 consecutive days. 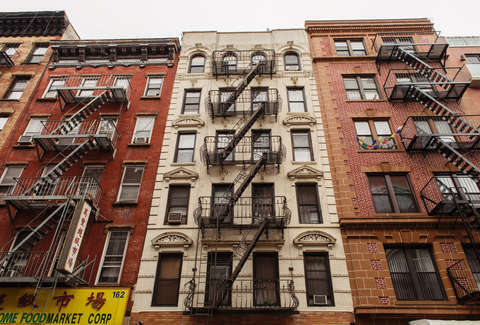 Whether you’re a tenant, subtenant, or a peer-to-peer vacation renter -- allow this guide to help you navigate New York City’s complex, often mystifying housing laws. Even though the average tenant is legally allowed to sublet, you still have to ask for formal permission. Send your landlord a letter by certified mail, or with a return-receipt requested, that outlines the term of the sublet, information about your proposed subtenant, and any other details of the arrangement. Your landlord must have a reasonable explanation for denying your request (if your proposed subtenant is unemployed, has poor credit, or has a criminal record, you may be out of luck). If your landlord withholds consent without a valid reason, however, or fails to respond within the application window -- 10 days to request additional information and 30 to approve or reject your proposal -- you can proceed with the sublet. If you live in a rent-controlled apartment, you do not have the right to sublet your apartment. Residents in public housing or subsidized housing (Section 8, for example) should check the individual program’s rules, and may need legal counsel before subletting. Residents of both co-ops and condominiums are often subject to exclusive bylaws or the terms of their lease -- you may be able to sublet, but it’s not a legally protected right. Sure, if you’re leaving the country for three months to travel abroad, it makes sense to recoup the cost of your apartment through a subtenant. But that doesn’t mean you can charge them more to turn a profit -- especially in the case of a rent-stabilized apartment. The only exception is the 10% surcharge you can tack on for providing a fully furnished unit. Just as there are laws protecting you from your landlord, subtenants too are safeguarded from unlawful overcharges. Residents inhabiting multiple-unit dwellings (a minimum of four units) can’t turn their apartment into a chic vacation home during the weekends. It’s not technically subletting if the agreement is less than 30 days -- that’s just illegal, and violators could face fines of up to $7,500. Here’s where things get tricky: If you plan to rent out a room within your unit, or the pull-out sofa -- AND you plan on being there the entire time to supervise your guests -- the law doesn’t come into play. If that’s the case, you can talk to your landlord about listing your apartment on Airbnb. But that’s definitely not the same thing as subletting. And anyway, Couchsurfing may be a better audience. You’ve found a subtenant -- excellent! Consider requesting a security deposit, in case they cause damage that you’ll be responsible for. If you go this route, keep the security deposit in a separate New York interest-bearing bank account to track interest (in buildings with six or more units, it’s what your landlord has to do, too). Should you need to use any part of the security deposit, keep records of every transaction for both the subtenant as well as your landlord. A handshake or promise of good will won’t suffice in a legal sublet. Once you, your subtenant, and landlord have come to an agreement, you’ll need paperwork binding the subtenant to the monthly payments (and the terms of the standing lease). There are a number of sites and apps offering help with this process, like Subleaser, though form templates can also be found on WikiDownload. Craigslist can be a goldmine if you’re looking for a place to sublease, but don’t let yourself be swindled out of a hefty security deposit. If you’ve been offered a one-bedroom apartment in Williamsburg (where the average rent is $2,996) and it has a doorman, dishwasher, and balcony for $1,800 a month, this is a huge red flag. Know the market, and never take a place without first seeing it in person. A trip to the building could reveal the doorman is a homeless person being paid off in Chipotle, and the balcony is actually a rusted-over fire escape. Another tip? Never wire money to secure a sublease, or pay in cash. Keep a paper trail of everything you do. If you’re the subtenant, don’t assume the cushy West Village apartment you found will eventually become yours -- even if the tenant offers to transfer the lease. Nothing is official until the landlord provides written approval of the reassignment. And unlike subleasing, the landlord can deny the arrangement either reasonably or unreasonably. If you’re searching for a place to stay, Facebook and other social media networks are a great place to start. You’re more likely to find a friend of a friend this way, making it easier to check personal references and avoid scams. Alumni network’s interest-oriented groups are another great way to find a subtenant or a sublease. Try a closed group, like Gypsy Housing NYC, if you need to look outside your immediate network (chances are, you know someone who can send you an invitation to enter). If all else fails, there are new lease marketplaces now, like Flip, which will help tenants find subtenants, and vice versa. And traditional sites for apartment hunting, such as RentHop, often have a sublet filter, too. Melanie Taryn Lieberman has rented and sublet apartments in New York City and Boston. She’s never couchsurfed, but she sees the appeal.